Vernee first appeared since February 2016. The Chinese smartphone manufacturer offers in its portfolio well equipped smartphones at surprisingly low prices. The models include Vernee Thor, Mars and Vernee Apollo Lite, which we evaluate in this review. Lite? The hardware equipment can not suspect that, however Apollo is ready to launch and can be booked in advance with even stronger hardware. Vernee already has a representative in Germany and can be bought directly. The smartphone is available from about 220 Euro, but let's see what you get for it. Well, let's take a look at the Vernee and start with the scope of delivery. 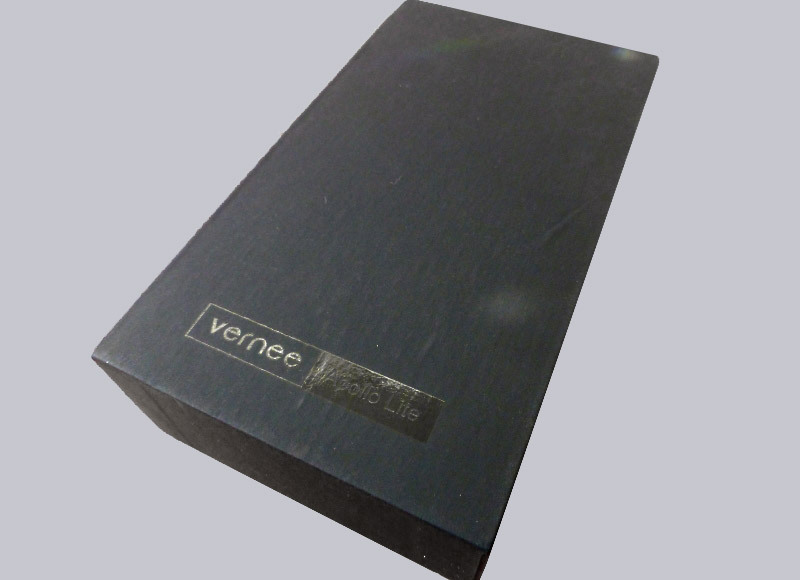 Vernee Apollo Lite is delivered in a simple black box. ... and the little accessories comes to the fore. Just a charger, USB type C cable, information note about the OTA updates, as well as a pin to remove the SIM slots. No this, no that and also no headset. It's not the lightest smartphone of its class, but the 175 grams is quite OK. The higher weight is caused by the metal housing. This is slightly curved, feels high quality and at the thickest point 9.2mm. On the back is the 16MP camera with a sensor from Samsung standing out slightly from the case and the fingerprint sensor. However, the upper and lower casing caps are made of plastic, including the various hidden antennas of Apollo Lite. In the upper cap the 3.5 mm stereo Jack is inserted, on the lower the speaker as well as the USB type C connector. All in all has the phone a very good workmanship. I could not understand the shaky hardware buttons on my device faulted in various tests. The buttons stuck in their place and have a good pressure point. As unfortunately almost already usual, the 3180mAh strong battery is not replaceable. The Apollo Lite is designed as a DUAL SIM phone. 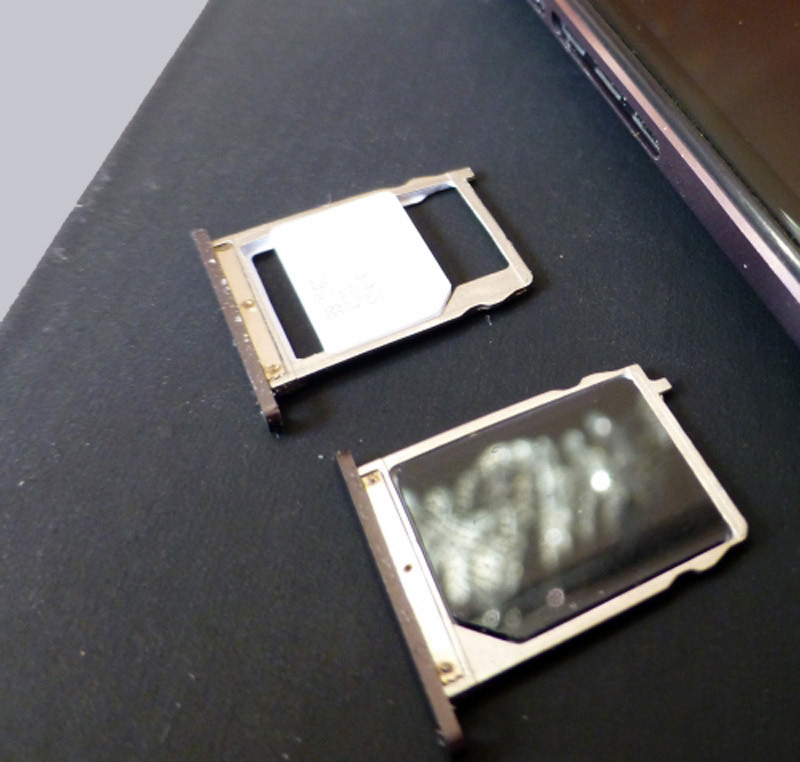 It is possible to insert a Nano and Micro-SIM. However, in Dual SIM operation it's not possible to install a SD card. The Apollo Lite is available in the colors silver and black. The black version shimmers slightly purple. The design is kept rather simple. Under statement instead of extravagance. So now enough "admired" ... we press the button and fire up free! The display makes an excellent impression, everything is sharp, the colors are strong and the viewing angle stability is good thanks to IPS Panel. The full HD panel from sharp is protected by a gorilla glass 3. 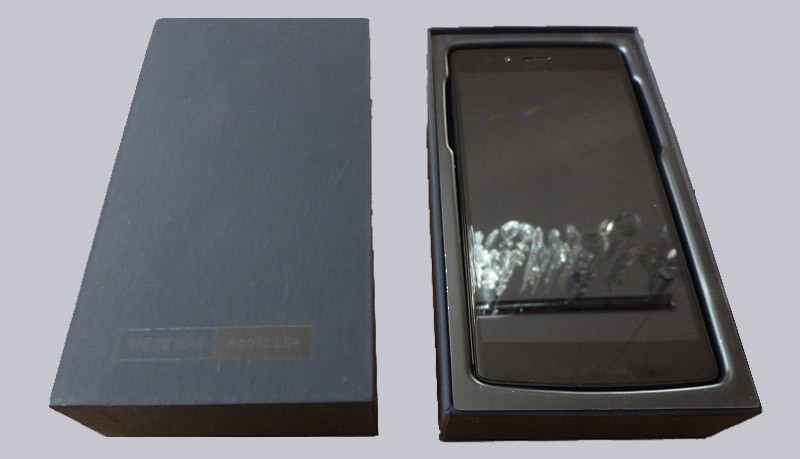 In addition, Vernee has already applied a screen protector. This is however very sensitive to scratches and dull. I took it off after just 10 minutes. It can however become a problem to get an adequate replacement for it. So Vernee screen protectors, cases, flip covers, etc. are available only very sparingly on the market. I hope that the one or the other accessories manufacturer add Vernee accessories, soon. Connecting by Wi-Fi is not a problem, and the transmission is be described as good. And promptly comes already the first OTA update unfortunately still not Android 7 but Vernee has already announced it. The mobile transfer is also fine and supports all popular bands in the GSM / UMTS and LTE. GSM? Yes you can still use it for phone calls the voice quality is for example as a good as from a Huawai P8. Swabs must be made during hands-free calls and when listen to music through the internal speaker. This is indeed loud but a very flat sound. But via headphones the sound is OK. For my taste, the headphones could be a bit louder. Looking for NFC at the Apollo Lite in vain. But it comes with a fingerprint. It seems to be very important how exactly moving the finger over the sensor. Taking some time for the configuration it reads reliably in 9 out of 10 cases the finger and unlocks the device. As main camera a 16MP sensor from Samsung is used. Sounds good? Yes and no, because the sensor is not everything. Unfortunately, at this point the Vernee is not very good. The images during daylight hours are fine, but they're mushy and noisy in low light conditions. The 5MP front camera makes quite decent pictures for its specification, and for some Skype it is perfect. The whole gimmick is noticeable on the battery life of course. This is rather average with 3180mAh. It is good for one day, but the Apollo Lite requires nearly daily fresh power. Pump Express technology recharges the phone in 1.5 hours! By the fast charging technology the average battery is offset almost again. Note, however, that the Apollo Lite already has Type-C USB cable, so all older micro USB cables/chargers lapses. During the whole test phase I didn't miss any smartphone performance. Quite the contrary! The Apollo Lite is extremely fast and that's reflected in the benchmarks. With Antutu, the Vernee Apollo Lite reached about 84000 points. 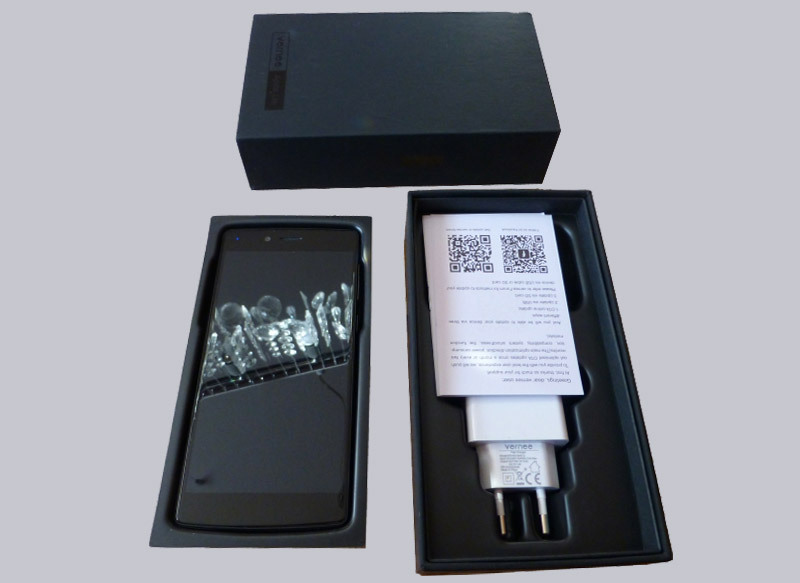 This is more than a Samsung Galaxy S6 edge and roughly in the area of Huawai P9. 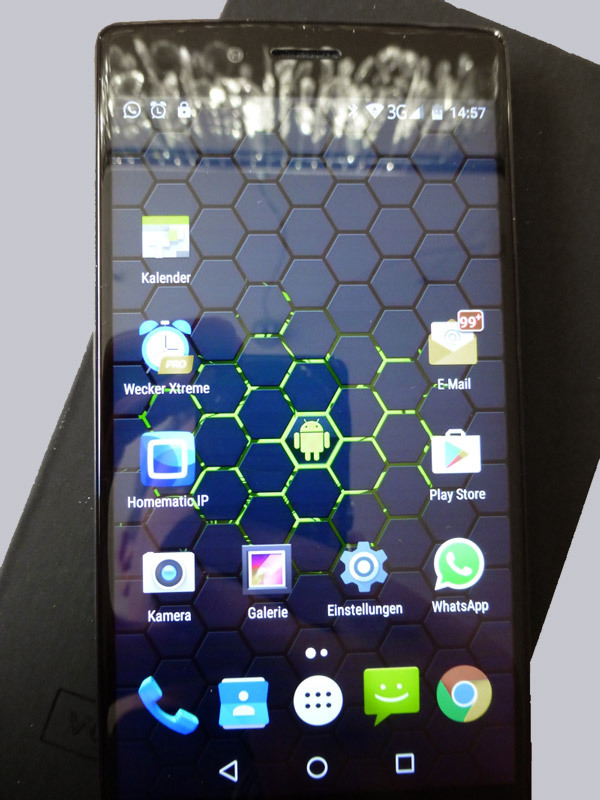 Here should be noted that this smartphone costs only about 220 Euro! Who can refrain from sharp images and NFC and has no problem charging the Vernee Apollo Lite nearly every evening, gets for just about 220 Euro an amazing fast smartphone with a great display, quick loading, fingerprint and stock Android. 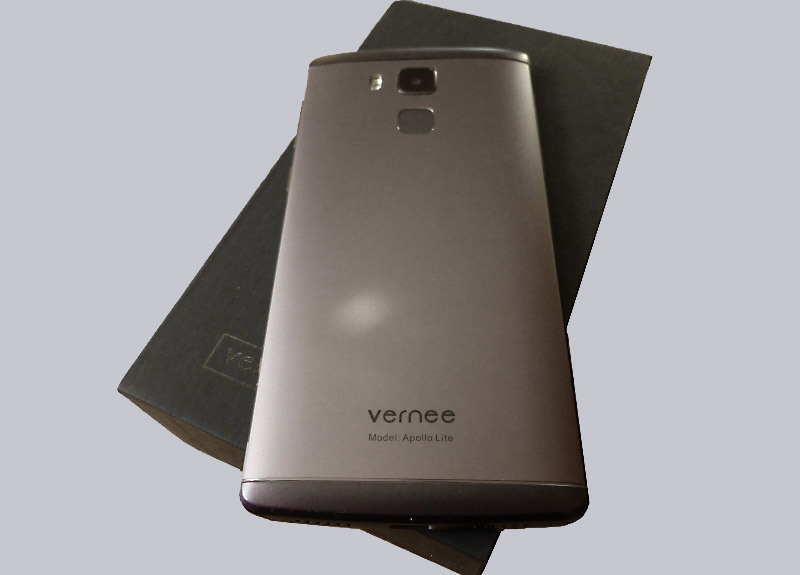 Here you can order the Vernee Apollo Lite. Write your own user review?